Krzysztof Książek was a semi-finalist and recipient of two special prizes at the 17th International Fryderyk Chopin Piano Competition in Warsaw as well as 3rd Prize and the special prize for the best performance of Mazurkas at the 1st International Chopin Competition on Period Instruments. He has won some of the most prestigious prizes in Polish and international competitions, including: 1st Prize, the Grand Prix, and a special prize at the International Chopin Piano Competition in Lviv (2010); 2nd Prize and a special prize for the performance of a Paderewski piece at the 2nd American Paderewski Piano Competition in Los Angeles (2013); a special prize for the best Pole qualifying for the semi-finals or finals of the competition at the 9th International Paderewski Piano Competition in Bydgoszcz (2013); 1st Prize and a special prize at the Polish National Fryderyk Chopin Piano Competition in Warsaw (2013); 2nd Prize at the Polish National Fryderyk Chopin Piano Competition in Warsaw (2015); 3rd Prize at the Concours International de Piano de l’Orchestre Philharmonique du Maroc (Rabat and Casablanca, 2016); 1st Prize at the 4th International Piano Competition Halina Czerny-Stefańska in memoriam (Poznań, 2017). On 17 March 2018 he appeared as a soloist with Collegium 1704 conducted by Václav Luks during the “Chopin’s Warsaw Piano” concert featuring a replica of a Buchholtz piano. He has performed in Japan, China, Switzerland, the United Kingdom, Germany, France, Italy, the Republic of South Africa, the United States, Poland, Slovakia, Ukraine, and Hungary. He holds scholarships from the Ministry of Science and Higher Education, the Ministry of Culture and National Heritage, the Pro Musica Bona Foundation, and the Young Poland programme. During 2005–2011, he was supported by the Polish Children’s Fund. In March 2014, he received a Krystian Zimerman scholarship. 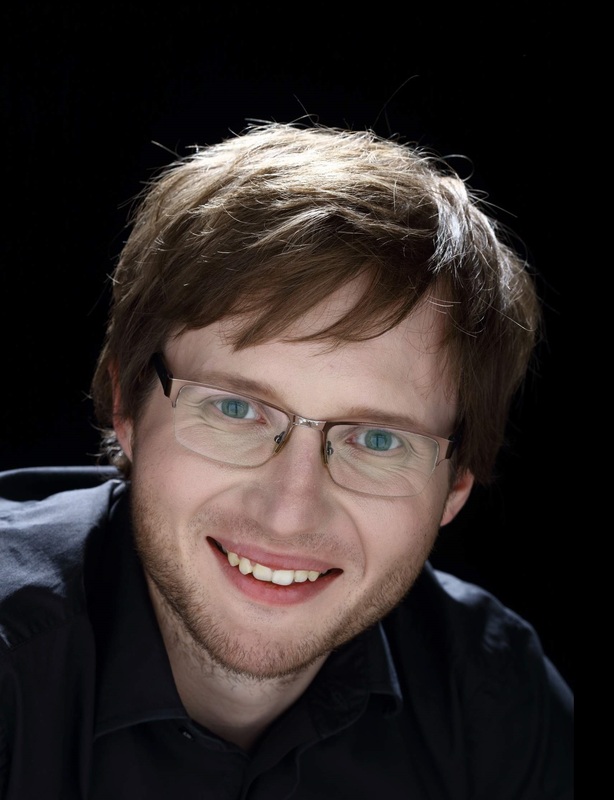 Książek’s interests also include chamber music, which he has studied under the tutelage of Professor Kaja Danczowska, Justyna Danczowska, Sławomir Cierpik, and Professor Maria Szwajger-Kułakowska. He performs in a piano duo with his wife Agnieszka Zahaczewska-Książek. In November 2016 a CD was released with Fryderyk Chopin’s Concerto in E minor, Op. 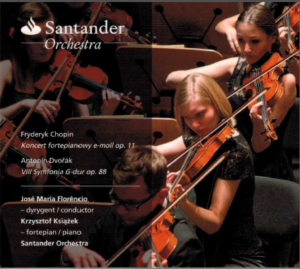 11 performed by Krzysztof Książek with the Santander Orchestra under the baton of José Maria Florêncio. The year 2017 saw the release of the artist’s solo album of Fryderyk Chopin’s works. 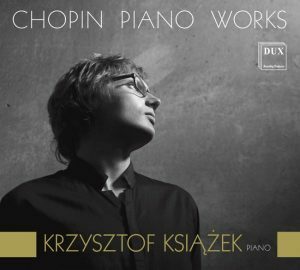 The artist’s latest recording appeared as part of the Fryderyk Chopin Institute’s Real Chopin series – a premiere recording on a Buchholtz replica (ca. 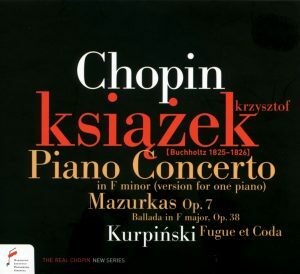 1825) of Chopin’s Warsaw piano featuring works by Karol Kurpiński and Fryderyk Chopin (2018). He began his musical education at the age of nine in the piano class of Grażyna Hesko-Kołodzińska at the Stanisław Wiechowicz State Primary School of Music in Kraków. From 2005, he studied with Professor Stefan Wojtas, first as a student of the Fryderyk Chopin State Secondary School of Music in Kraków and later at the Academies of Music in Kraków and Bydgoszcz. He continues his postgraduate education in the class of Professor Arie Vardi at the Hochschule für Musik, Theater und Medien Hannover. Krzysztof Książek is represented by the Ludwig van Beethoven Association.